It's a decent book if you are into tack welds...ok for self teaching...I didn't care for the projects but that is just my style...the info was correct and trustworthy. I've been welding for a while and was looking to improve my skills...this really isn't the book for that. 5.0 out of 5 starsExactly what I was looking for!!!! Truely for the beginner. This book is clear, concise and straight to the point without a bunch of filler you don't need when learning a new craft. It almost reads like an exciting storybook. I honestly couldn't but it down. Tons of colorful photos as well. I got this for my mom, who is just beginning to learn how to weld. She's a bit intimidated by the whole process, but her face lit up when I showed her some of the easy craft projects in this book. The instructions are clear and there's lots of photos. 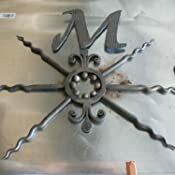 Hopefully having some step by step "recipes" will let her gain enough confidence to eventually meet her goal of creating scrap metal yard art! So. my wife bought the book - - I haven't looked at it yet - but it made her happy. Great book for the novice. It is an easy read and pictures of projects you can actually do and should do at least 5 -8 of them. Makes you look at a scrap piece of metal in a different way. 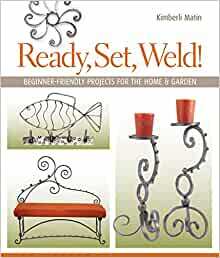 Good that it is geared to welding...not just pictures of things DONE in welding...Good book for beginners. I recommend it. This is my first pair of Reeboks in years and I'm very pleased with fit and feel. 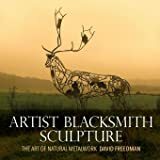 Great book for ideas and inspirational projects, I've been welding for over 35 years and found useful information and differing approaches. 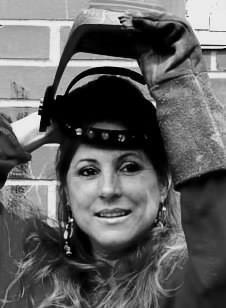 No doubt you will find a project or two that you would like to build or useful ideas to jazz up your existing work. I have built four of the "Vine Racks" for friends and they love them a fun and unique gift. You won't be disappointed in this book.